As Remembrance Sunday approaches, those wishing to pay their respects at the War Memorial in Bourne will find it much easier to do so. 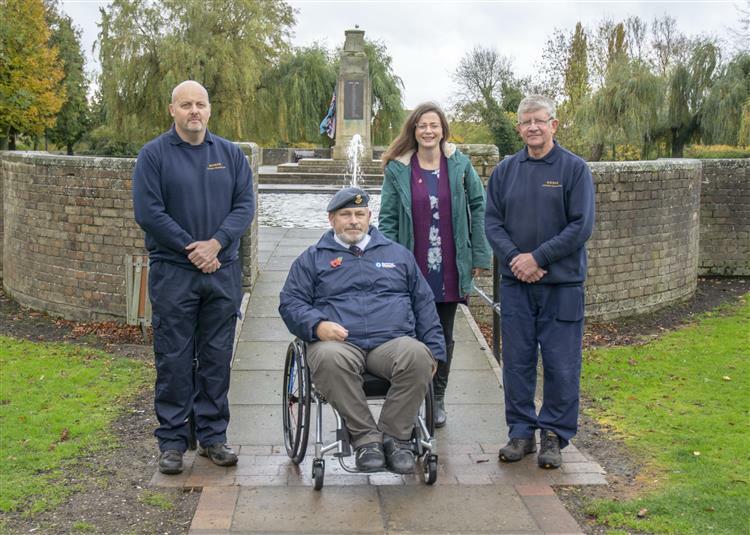 Thanks to funding from the Bourne United Charities the memorial in Wellhead Park, which pays tribute to the 131 brave servicemen and women from the Bourne area who lost their lives fighting for our freedom, is more accessible. Delighted Anna Rogers, a trustee of the Bourne United charities, was pleased that the work was completed in time for Armistice Day. “There was a path to the war memorial that just wasn’t accessible,” she said. “You had to go over the grass or up some steps. “If you were a wheelchair user, it really wasn’t suitable. As well as the names of those who lost their lives in the First and Second World Wars, there are also names from the Malayan Emergency, Indonesian Confrontation and The Troubles in Northern Ireland. Anna added that there are plans to make it even more accessible.